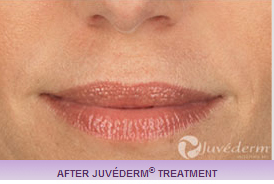 Juvederm is a non-animal based injectable filler made in the laboratory. It is made of hyaluronic acid – a material that is in the joints and bodies of all living things. It is a complex sugar that maintains its three dimensional shape in the body by attracting and holding large numbers of water molecules. Among its many natural functions, hyaluronic acid maintains the volume of the skin, keeps skin hydrated and maintains the shape of the eye. 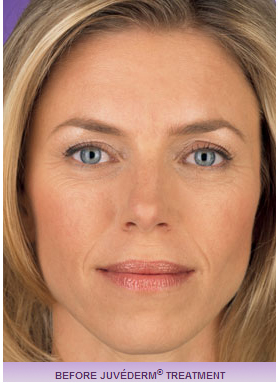 As we age, we lose hyaluronic acid from the skin and it loses its volume and structure. 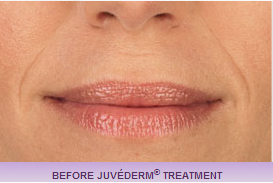 Juvéderm treatment is ideal for moderate to severe wrinkles around the nose and mouth, to restore facial volume, redefine lips and providing a smooth and supple appearance.